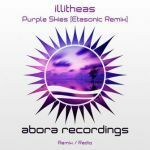 The Original Mix is a journey full of dreamy melodies and soaring pads, what Aiera is known for. Ranging on a ground between progressive and trance, the Original Mix delivers an atmospheric blend of sounds which will just make you close your eyes and enjoy them. [email protected] delivers a stunning remix full of orchestral melodies and crazy arpeggio sounds. He took the original and morphed it into a completely different shape. It's wild and crazy, and most of all, it works! Young Dubai miracle Ahmed Romel never fails to deliver the best from the world of uplifting trance. Powerful kicks and an offbeat bass line work flawlessly with this young star's interpretation of Aiera's melody. If you are up for some solid uplifting madness, this remix is perfect for you! The Ahmed Romel Remix won the Future Favorite award vote on Armin's A State of Trance. 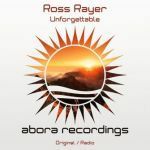 Supported by: Armin van Buuren, Suncatcher, Markus Schulz, Ferry Tayle, Manuel Le Saux, DoubleV, Tom Colontonio, Giuseppe Ottaviani, TrancEye, Akira Kayosa, Erik Iker, Suzy Solar, Angel Ace, and many more!